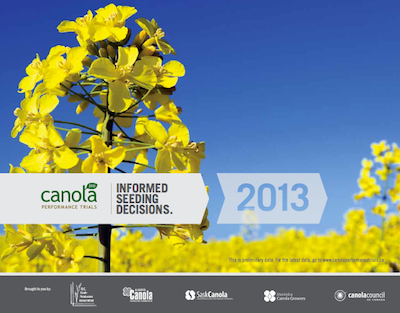 The Canola Watch 2013 exam is posted and ready. Certified Crop Advisors (CCAs) and Certified Crop Science Consultants (CCSCs) who achieve 70% will get 6.5 credits. Ultimate Canola Challenge results show that many of the additive products tested would not have provided an economic return — based on 2013 results. The challenge will likely be repeated in 2014, which will give us more confidence in the results. Growers still making seed decisions are reminded to look at www.canolaperformancetrials.ca. And if you’re in an area known to have clubroot or near an area known to have clubroot, seriously consider a clubroot resistant variety. 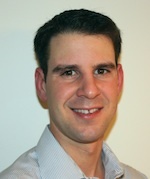 We are pleased to welcome Warren Ward to our CCC agronomy team. Warren will serve eastern Saskatchewan. Contact him at wardw@canolacouncil.org or 306-621-0630. We would love to hear from you. Send us your comments or article suggestions and follow us on Twitter at @CanolaWatch. 1. Paperwork. 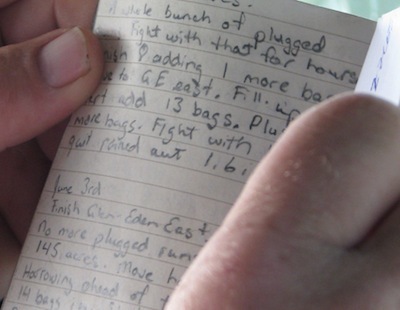 Go through notes you took through the 2013 growing season and get them organized for next year. Look for patterns in 2013 yield maps. For example, can good areas and poor areas be explained and provide some specific management direction for 2014? 2. Consider how to work check strips into your farm for 2014. These are a good way to check the efficacy and economic return for fungicides, second herbicide applications and other treatments. The Canola Watch 2013 exam for Certified Crop Advisors (CCAs) and Certified Crop Science Consultants (CCSCs) is now available. Click here. A score of at least 70% will earn you 6.5 credits. 1. It comes from at least 15-20 sites, ideally from more than one year. 2. Statistical analysis is performed on the data to test its reliability. This analysis will also identify real statistically-supported differences between treatments or varieties. 3. Trials should follow a protocol applied across all sites. Without a protocol, differences might be due to factors other than those tested. 4. Trials are run by a third party (an independent source). Ideally, results should be published in a peer-reviewed journal. The Canola Council of Canada’s Canola Performance Trials were established to provide variety data based on these principles. The tool at www.canolaperformancetrials.ca has small and large plot data from across the Prairies, and for years 2011, 2012 and 2013. The ideal canola stand will have 7-10 plants per square foot. Canola needs a minimum of 4-5 plants per square foot, on average, to reach its yield potential. A few extra plants improves the chance of hitting yield targets, and allows for some plant loss to insects and disease. 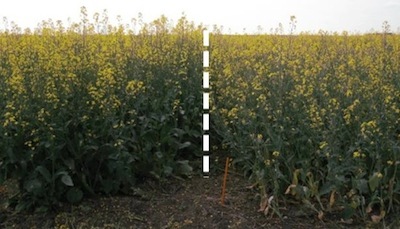 Canola with plant populations below 4-5 per square foot can still yield fairly well under good growing conditions and with good pest management, but it will not likely reach its yield potential. The seeding tool used to put in the crop does not change this fact. 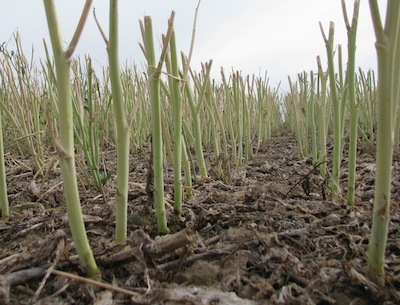 Who should use clubroot-resistant canola? 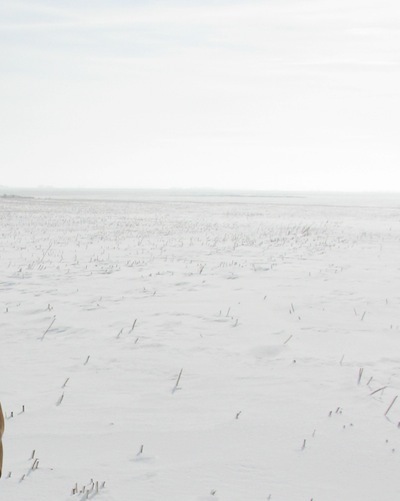 Clubroot resistance is an important part of clubroot management, and growers are advised to start using clubroot-resistant varieties as soon as clubroot is identified in their area. This will help keep clubroot at low levels in fields, and reduce the risk of selecting for resistant clubroot races. —Spending money in 2013 on a lot of additive products was not worthwhile. —Following best management practices provided best results in 2013. —Look carefully at the data for additive products you may be considering. Click here for important canola events over the next few months.